Carnegie Mellon's College of Engineering is involved in a variety of STEM-related activities, and we hope that you will find the college to be a valuable resource. Below, you will find a list of additional Carnegie Mellon resources, as well as resources from other organizations. 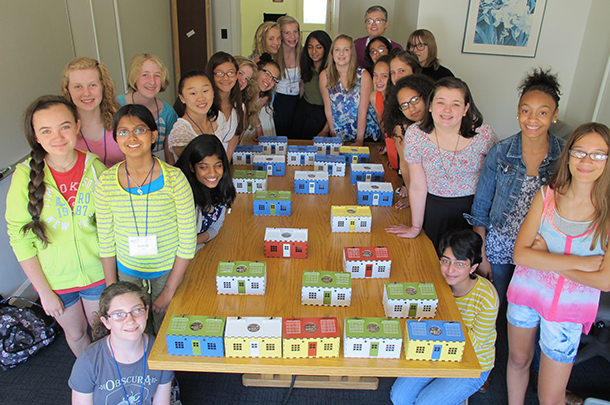 CEE Professor Deb Lange with a group of STEM participants building miniature houses.